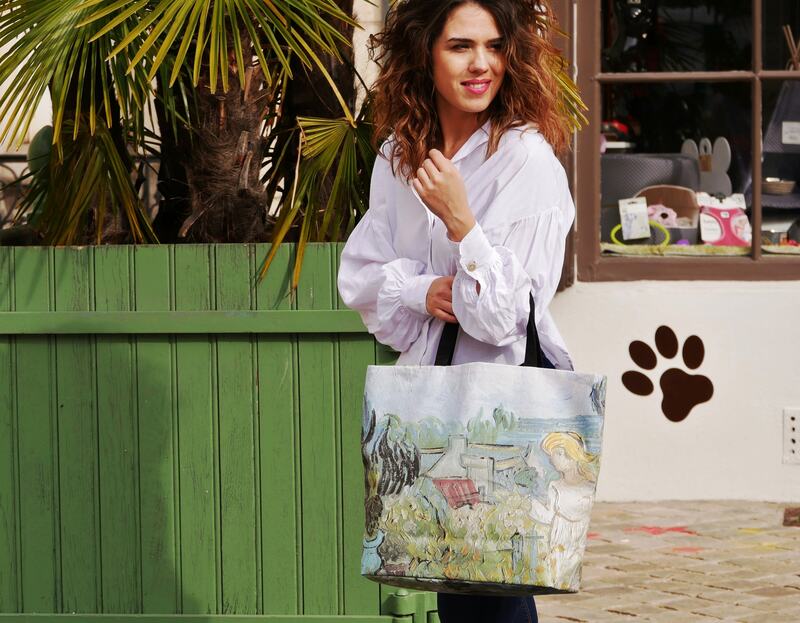 Printed tote bags, van gogh painting "mademoiselle gachet in the garden" Package shipping 48h. 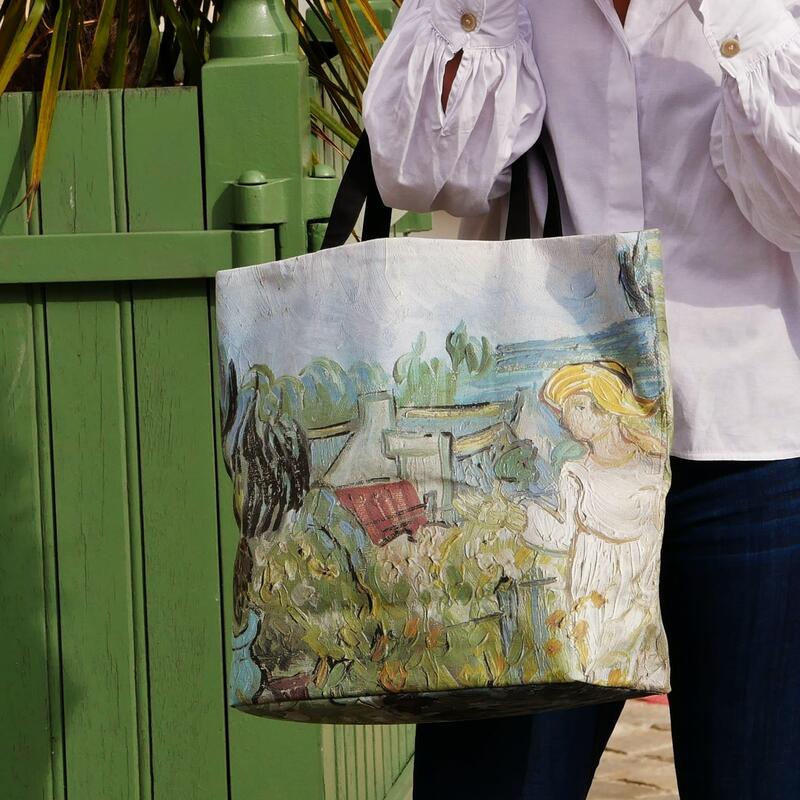 Printed tote bags made with Vincent Van Gogh painting "Mademoiselle Gachet in her garden"" painted in 1890 and exhibited in Orsay museum of Paris. The main colors are light green and blue. The same thick canvas is on each side with different pictures of the high quality painting copy. 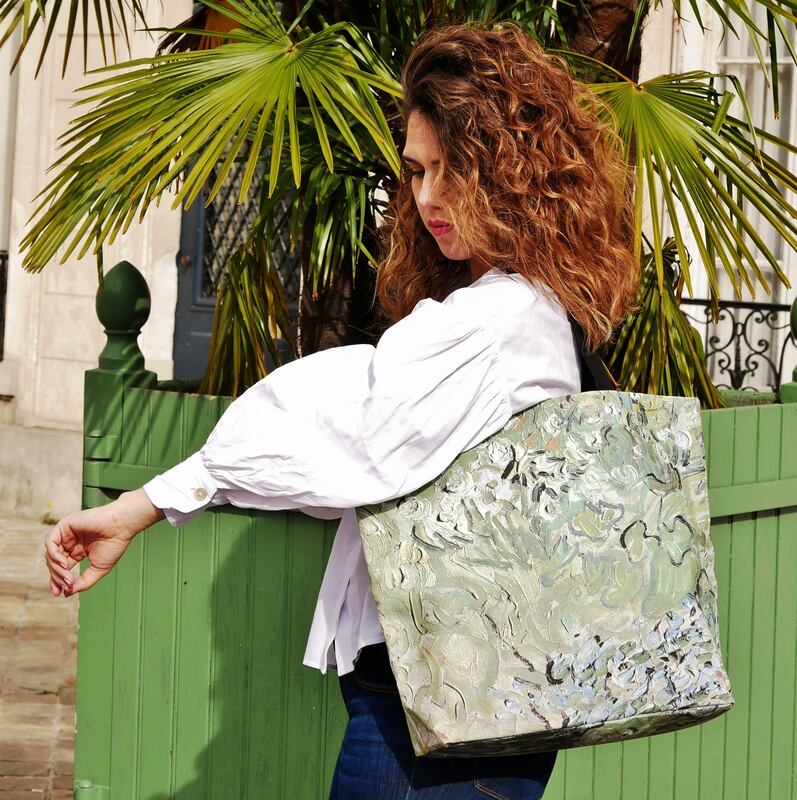 It is a medium tote bag, its size: 15 x 18-13 x 5 inch about. It is roomy. To be convenient, you find inside two pockets, one closes with a zip. 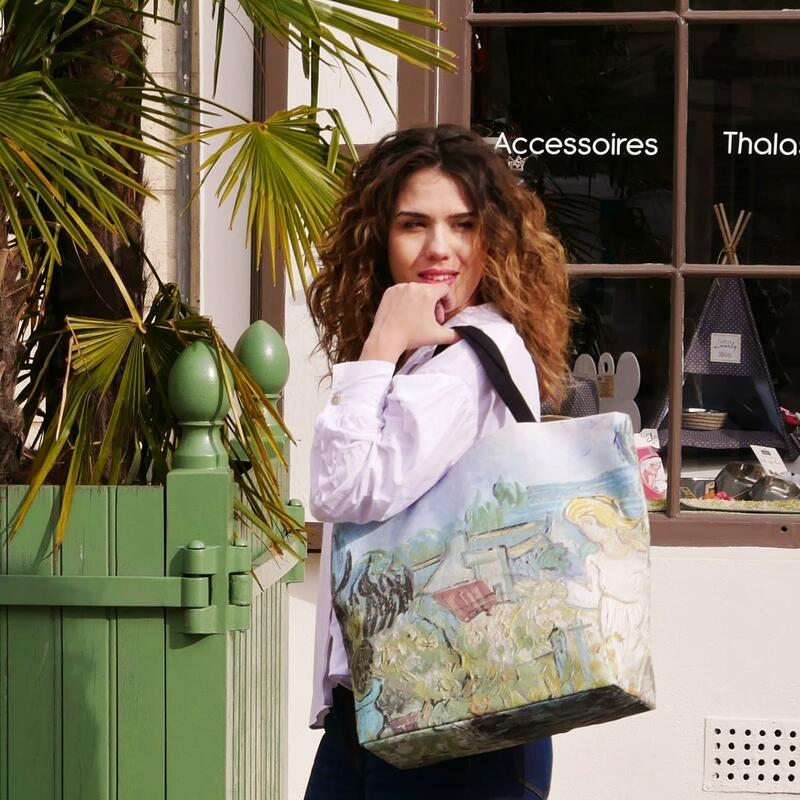 As beautiful accessories and handbags for women, this tote will give a touch of style to your look... and offer you the privilege to make alive a work of art. By its conception, it stand by itself without getting out of shape.